CWH continues to assist the farming community reduce pollution and decrease fertilizer input through the use of the CWH-owned nutriplacer. This equipment places liquid fertilizers, principally nitrogen and phosphorus, about four inches below ground. The subsurface placement reduces nutrient surface runoff and increases the uptake by crops. 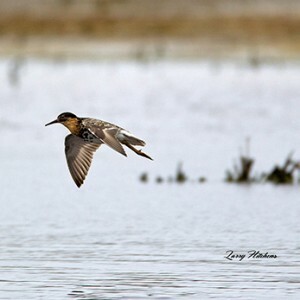 Chesapeake Wildlife Heritage continues to assist the farming community by providing a technology relatively new to the Mid-shore region that can reduce nutrient pollution and decrease fertilizer inputs. The equipment places liquid fertilizers, principally nitrogen and phosphorus, about four inches below ground. This subsurface placement reduces nutrient surface runoff and increases the uptake by crops. Currently, most fertilizer not run through the planter is surface applied and subject to runoff during untimely rain events. With the support of the Biophilia Foundation, CWH purchased a Blue-Jet AT4010 Liquid Fertilizer Applicator (nutriplacer), which it makes available to the farming community through a partnership it has developed with Crop Production Services of Centreville, Maryland. Fertilizer elements, especially macronutrients nitrogen and phosphorus by volume, are a critical component in row crop production. Regrettably, however, they are also one of the prime sources of nutrient pollution in the Chesapeake Bay. According to the Chesapeake Bay Program, in the Mid-shore region of Maryland’s Eastern Shore, agriculture produces at least 40-50% of the nitrogen and phosphorus pollution in the watersheds. Given that 70% of the landscape in these watersheds is in agriculture, it is clear that by working proactively with the farming community we can yield important reductions in nutrient pollution through fertilizer injection. Nutriplacers have been utilized in the Mid-west and are proven to reduce nutrient outputs in farming operations and increase crop yields. Unfortunately, this specialized piece of equipment is expensive. Without a low-cost introduction to encourage initial use by farmers and technical support, this promising technology will not be adopted widely. Since CWH started working with this equipment, seven or eight farmers here on the Mid-shore have purchased their own equipment. Other conservation groups are now exploring helping farmers get access to nutriplacer technology, as well. It seems CWH’s efforts to bring this technology to the Mid-shore are now spreading nicely! 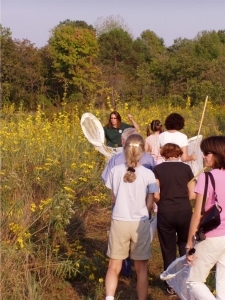 The Sustainable Agriculture Program at CWH works with farmers and landowners to enhance the wildlife habitat value of their land, and reduce the amount of pesticides and nutrients used in farming operations, while maintaining farm profitability. In a region blessed with the beauty and bounty of the Chesapeake Bay and with agriculture as the number one industry, this work is difficult, but vital. CWH staff advises farmers and landowners on the use of agricultural methods, such as no-till planting, band spraying and cover crops, all of which reduce top soil erosion and use 2/3 less herbicides and nutrients than conventional agriculture methods. These methods benefit wildlife and the waters of the Bay by preventing pollution without undermining the local agricultural based economy. Founded in 1983, Crop Production Services is an innovative, full-service agriculture retailer with offices in seventeen states. CPS offers many services to farmers including: crop management, fertilizer application, root zone banding, crop scouting and animal nutrient management. 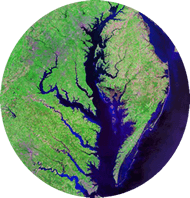 CPS has six offices on the Eastern Shore and offices throughout the Chesapeake Bay watershed, including Virginia, Pennsylvania and New York. By partnering with their Centreville office, CWH will introduce this technology to the CPS network of technical service providers in other parts of the watershed. 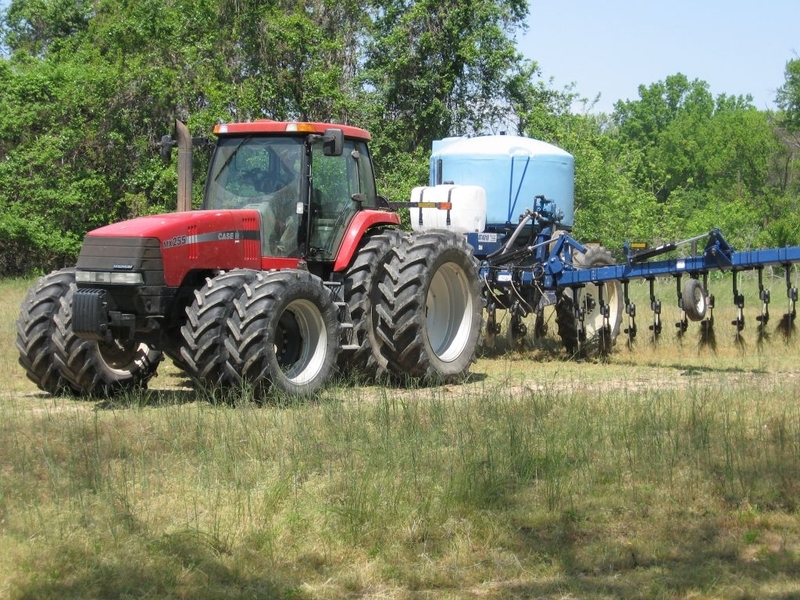 Together, Chesapeake Wildlife Heritage and Crop Production Services will work to assist farmers in learning about the benefits of subsurface application of fertilizers. CPS will utilize the nutriplacer on the farm fields of partnering farmers.